Location. 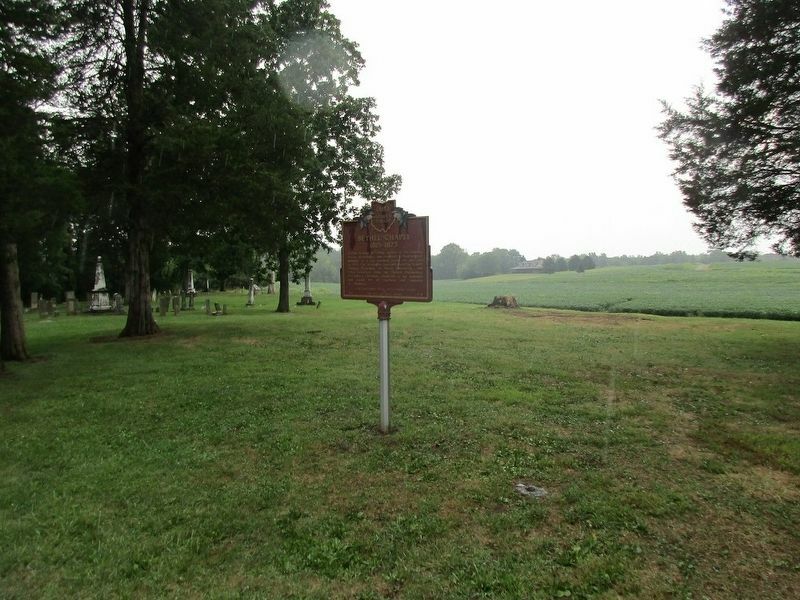 39° 24.33′ N, 84° 41.406′ W. Marker is near Hamilton, Ohio, in Butler County. Marker is on Reilly Millville Road (County Route 29), on the right when traveling west. Touch for map. 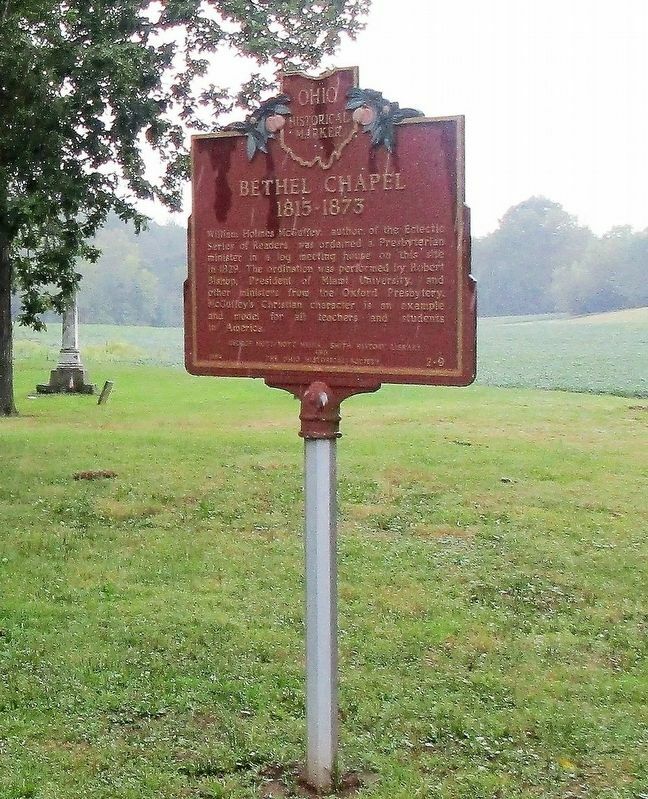 marker is in Bethel Presbyterian Cemetery. Marker is at or near this postal address: 4000 Reilly Millville Road, Hamilton OH 45013, United States of America. Touch for directions. (approx. 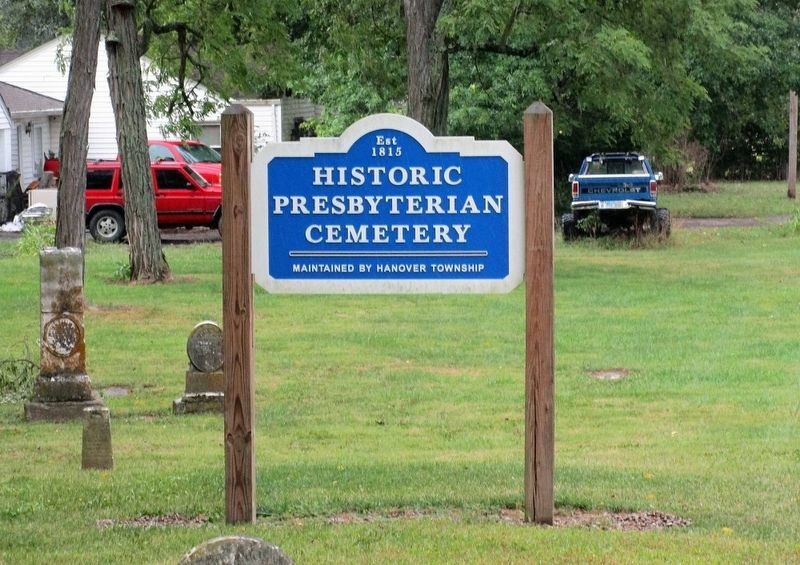 2.1 miles away); Bunker Hill Universalist Church/Bunker Hill Cemetery (approx. 2½ miles away); Stillwell Cemetery Veterans Memorial (approx. 3.6 miles away); Stillwell’s Corners (approx. 3.6 miles away); Veterans Memorial (approx. 5.1 miles away); Founding Members of the Morgan Township Fire Department (approx. 5.4 miles away); Paddy's Run (approx. 5.7 miles away). Touch for a list and map of all markers in Hamilton. More. 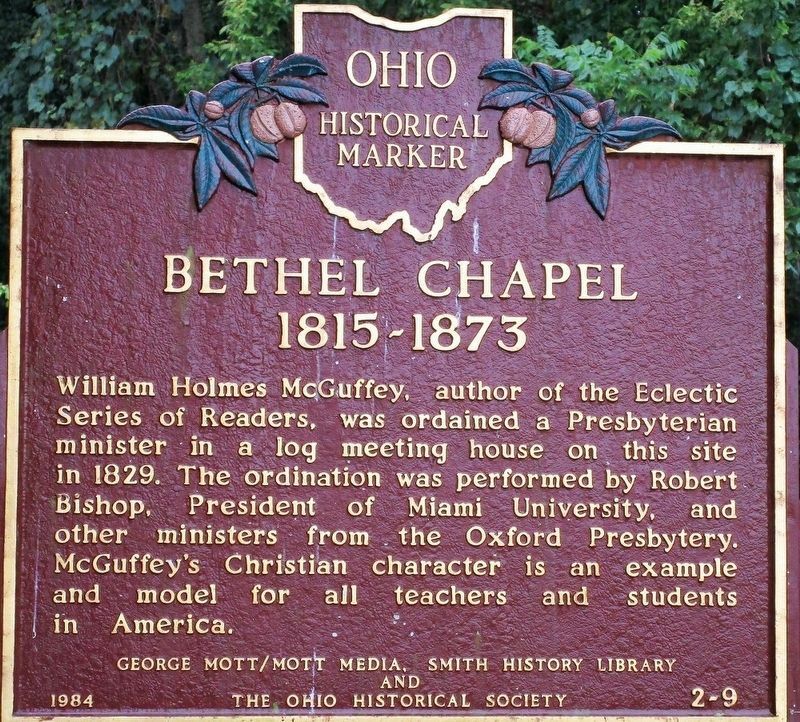 Search the internet for Bethel Chapel 1815- 1873. Credits. This page was last revised on August 20, 2018. This page originally submitted on August 30, 2017, by Rev. Ronald Irick of West Liberty, Ohio. This page has been viewed 109 times since then and 5 times this year. Photos: 1, 2, 3, 4. submitted on August 30, 2017, by Rev. Ronald Irick of West Liberty, Ohio. • Bill Pfingsten was the editor who published this page.